No joke! Hubbie & I, plus one kiddo ate an entire bunch of KALE! Cut leaves off stems, tear into chip size bites, wash, dry with paper towels or use salad spinner. 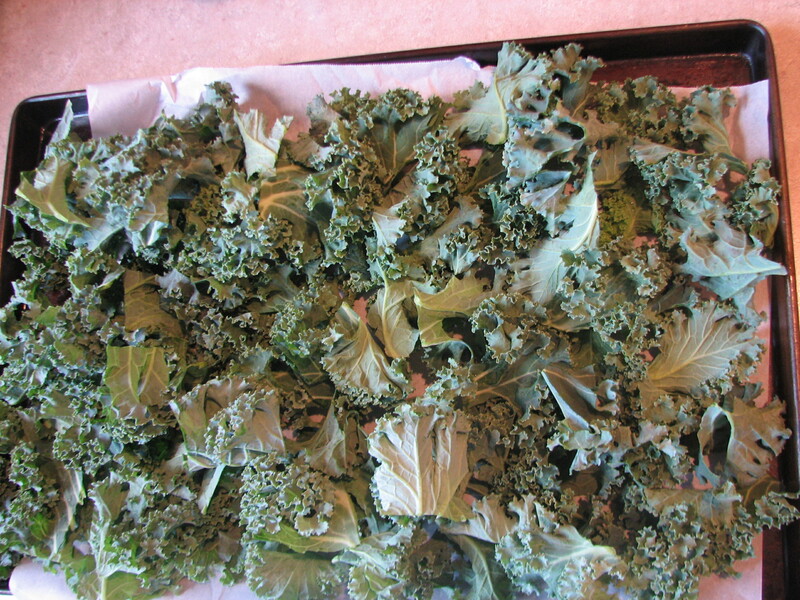 Heat oven to 350 degrees, spread kale onto baking sheet (parchment paper optional). Spray or drizzle (douse?) with olive oil. 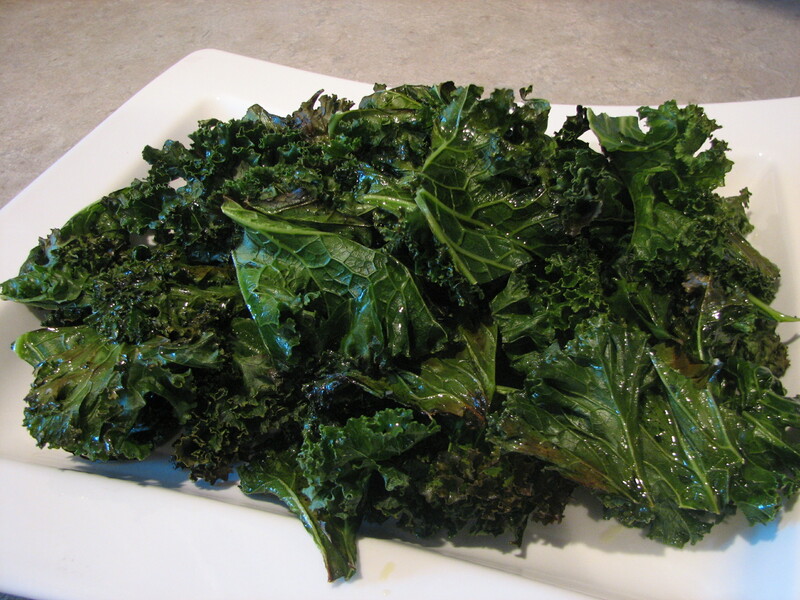 Sprinkle kosher salt all over leaves. Bake for 10-15 minutes, until edges are a tad brown. A good for you $2 appetizer! Thanks for the recipe, Susan!! 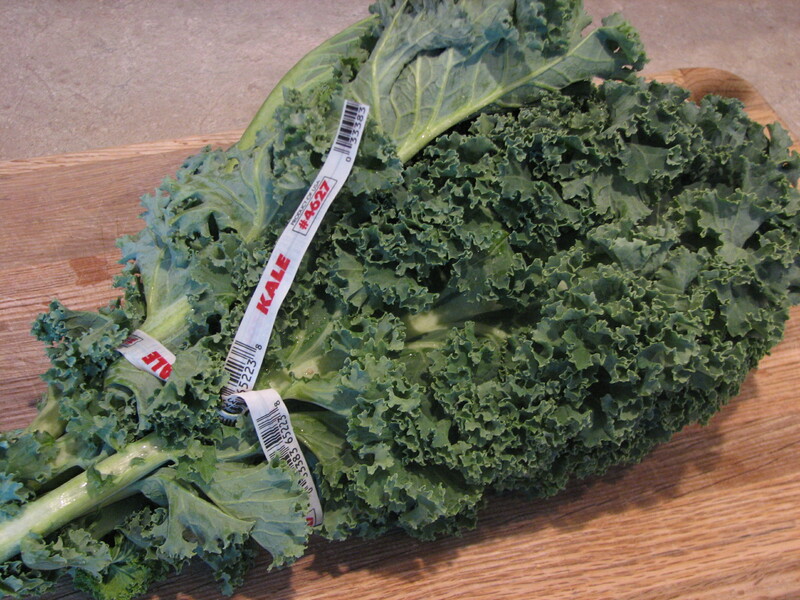 Click here for more kale recipes. 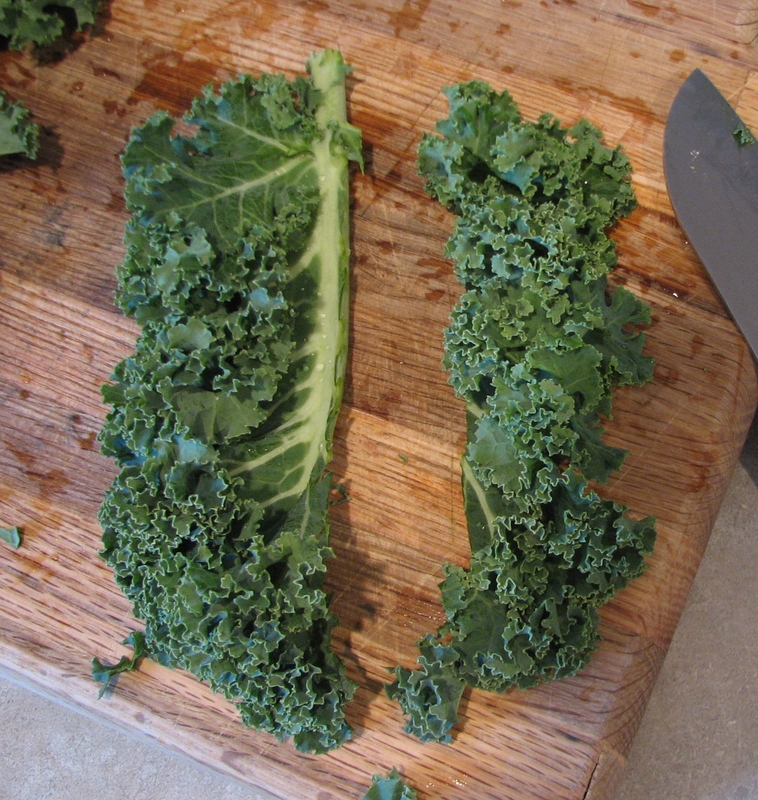 Hillbilly Warning: kale bits tent to lodge in teeth…seek mirror or trusted friend after eating!